The installation of the press took place in December last year and resulted in some incredibly positive feedback from the team at Hart Labels who were amazed at the performance of the press, which has quickly realised a digital profit. The investment has also helped Hart reach out to new markets and move some existing flexo work that is better suited to digital. PicoColour delivers superb printed results and has been developed to address the continuing demand from major brands for value-added label and package printing. With a printing width of 210mm and running capacity of up to 35m per minute, the PicoColour is a versatile and highly productive printing system at a competitive price. The press works with UV based inks and is available with CMYK + white, plus corona and variable data options. 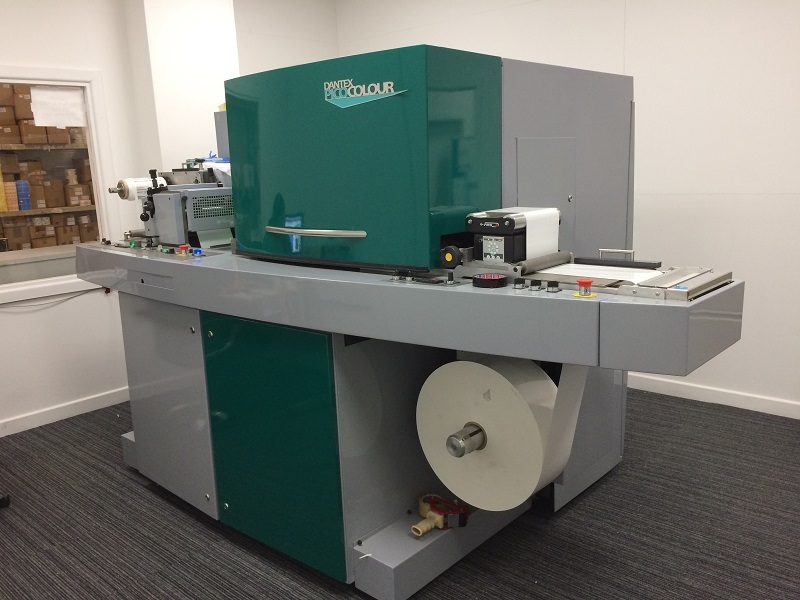 Dantex’s general manager Andy Abbott said: “The PicoColour was the ideal solution for Hart Labels. “With the majority of printers under market pressure to offer the benefits of digital print, shorter runs, flexibility, quick turnaround and cost-effective label solutions are key factors. We look forward to working together now and on future digital investments.” Dantex are exhibiting on stand G25 at Label and Print, part of the Packaging Innovations show at the NEC, Birmingham on 27-28 February. As a regular exhibitor, Dantex will be showcasing both the Pico range and their plate processing offering. The PicoColour press will be running on the stand, while the impressive PicoJet will be demonstrated via video.